If you walk at a slow enough pace to allow looking around (whatever that pace may be for you) there are frequently delights arrayed along the John Muir Trail. There are wildlife sightings, monster rocks, and views around every bend. There are also wildflowers! 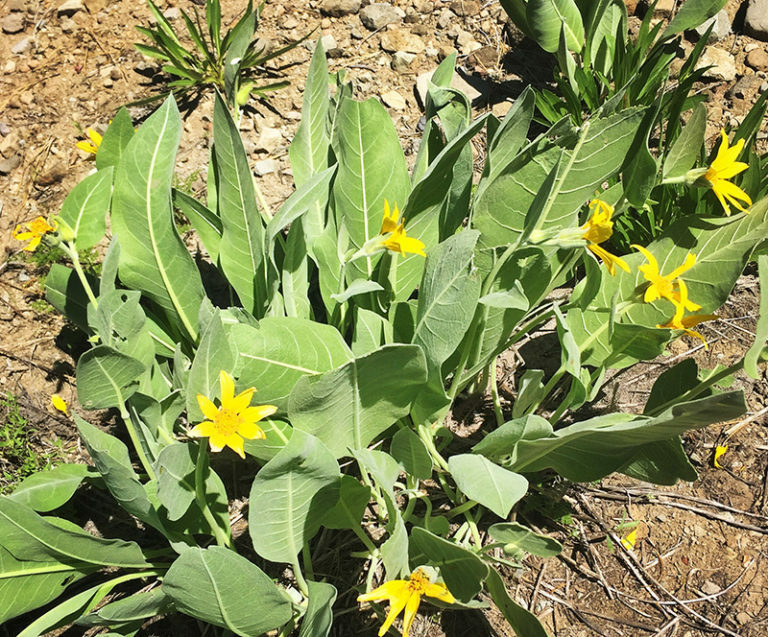 One of my favorites is the woolly mule ears, a yellow flower that tends to grow in bunches. The wooly mule ear (wyethia mollis) is a member of the aster family, and is often confused with the arrowleaf balsamroot, which looks so much alike that I have trouble telling them apart, even with my copy of The Laws Field Guide to the Sierra Nevada in my hand as I hover over the plant. Botanists tell us that the plant grows slowly and is often one of the first to reappear in burned areas. They reach a height of of nearly three feet. The leaves fall each year (they are not evergreen) and the flowers bloom in late spring and summer. 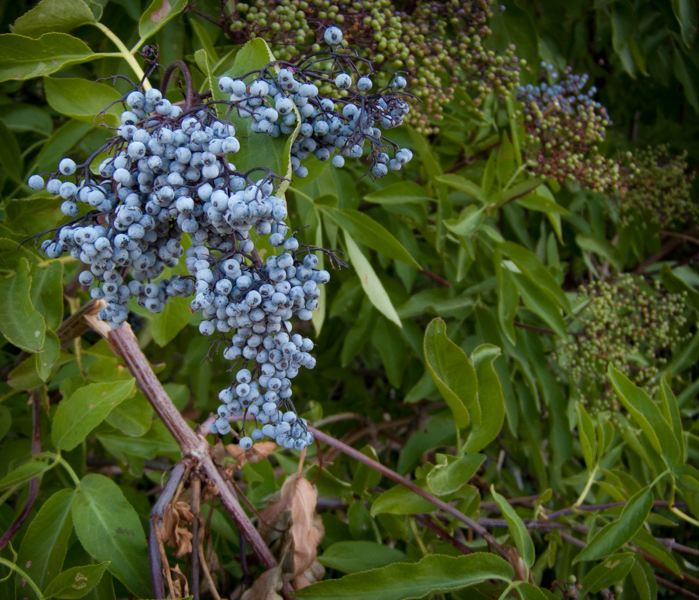 The seeds of the plant are edible (as is the entire plant), and taste much like sunflower seeds. The scientific name wyethia mollis is a tribute to Nathaniel Jarvis Wyeth, an inventor and entrepreneur, who explored Oregon in the mid-1800s.